Must inform before 3 days for free cancellation. if not 10% from the total room cost will be charge. Must have a 100% confirmation before 3 Days to the arrival. no deposit needed. Can Arrange extra beds for Groups as request. Can Arrange City tours and Sri Lankan Food . Overlooking peaceful nature views, City Center Lodge is located in Anuradhapura, just 1 km away from the city centre and within close proximity to ancient ruins. 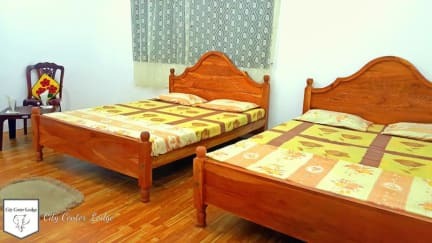 It features clean and comfortable rooms equipped with free Wi-Fi. 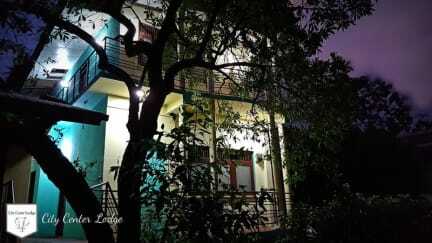 On entering this charming hotel in Anuradhapura, you will immediately sense its special intimate atmosphere that makes you feel like being in your own home. Each detail has been passionately chosen and each room deserves a visit. City Center Lodge style mixes valuable antiques and original artworks with an unexpected eclectic contemporary twist. The accommodation will provide you with a TV and air conditioning. The en suite bathrooms feature a shower and free toiletries. Some rooms offer mountain, lake views while others enjoy garden views. The 24-hour front desk can assist guests with luggage storage. Bird-watching activities can be arranged at the tour desk. Free parking facilities are offered to those who drive and laundry/ironing services are available at a surcharge. 1. Check-in Time: from 07:00. 5. Age Restriction: The minimum age to stay at the lodge is 10 years old. 6. Wi-Fi is for free from morning to 23:00, as your request the time can be extend for free. 7. Smoking is not allowed inside the rooms, but we have separate areas for smoking in the hotel.